Hello, my name is John. 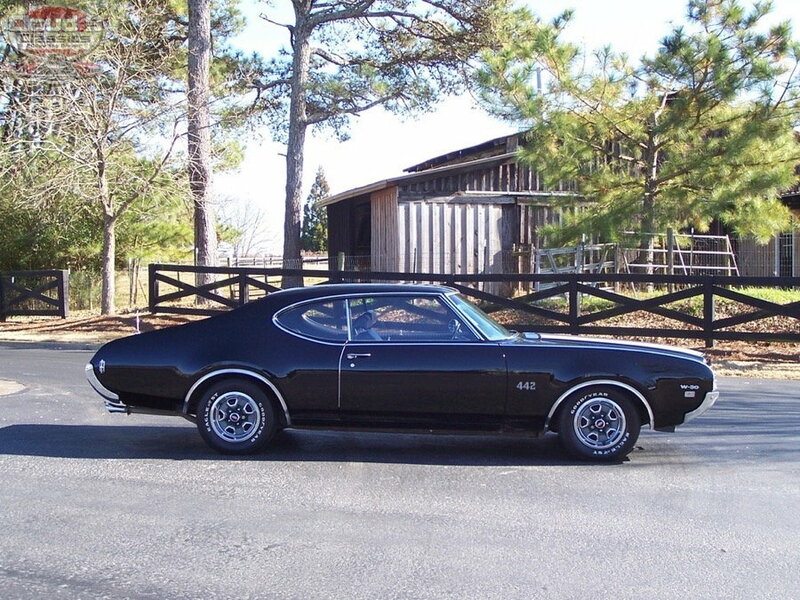 I recently acquired a 69 442 W30 and decided this was the right place place to join the Olds community to share and obtain technical info from Olds experts. Glad to be aboard! I would like to hear about your car and we all would like to some pix. You will find most everything you need to know about your car here. This IMO is the #1 forum for Olds enthusiasts. Welcome to the site, congrats. Post some pictures. Hi John...one thing I learned quickly about the pre 70 W30s is the scant documentation these cars have. No W30 on the broadcast card, Lansing had return deposits on their build sheets, etc. So I had to rely on owners testimony, and determine if all the parts were there and presented themselves as original to the car. So far so good and its unrestored state helps to bolster that claim. Same situation, owner had it since 1981 according to him. It's a black on black 4spd 3.91 car. I will post some pics and details in the near future. How about some details on your's? Welcome aboard John. A W30 survivor? Gotta see that, almost all of them I've seen have been either amateur or professionally restored. Does the car have some documentation or provenance that came with it? Unfortunately no, with the exception of the separate card that serves as a protecto plate I'm assuming. I've been poking around the car for documents but not expecting to find any based on the fact that the Lansing lines did not usually leave any in the cars. I had to put my faith into what was pertinent to W30s and all the parts are there and appear to match the mileage and condition. 85% original paint, main numbers with correct looking fonts and codes. All survivors I've been involved with stir up controversy and varying opinions, but I'm confident it's the real deal with this car. Hi John, same situation with mine , owner picked it up in the early 80s as a kid and kept it all these years, according to him. After quickly realizing that documentation doesn't really exist on these other that stickers and invoices I had to rely on my gut along with all the W30 stuff and numbers and codes and do they match the cars condition and mileage. It's a black on black 4spd 3.91 equipped car. Welcome, sounds like a fun car to drive with the 3:91's. Hi John, Welcome!! Is this the car from a guy in Georgia??? If it is it's an awesome car!!!! Unbelievable original condition!!! I hope you enjoy the crap out of it! !